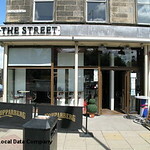 There’s nothing quite like enjoying a chilled drink outdoors on a sunny day in Edinburgh. From traditional pubs to stylish terrace bars with great views of the sky, the city has many alfresco drinking establishments. 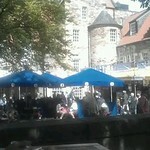 Here is our list of the city’s best sun spots for al fresco drinking in Edinburgh. The first "fashionable" bar to hit the new Fountainbridge area. Sometimes busy and sometimes staid and quiet. Ample tables with great views across the Harbour,Ocean bar and grill is open everyday for breakfast, lunch, dinner or simply coffee and pastries. The Pleasance Bar offers a divers bar menu and grubs alongside an extensive drinks list. A stylish bar at Broughton Street flaunts a smart decor and a laid-back milieu. Friendly and professional staff.Quite popular among the young crowd who throng to grab the some of the best bloody marys in town. 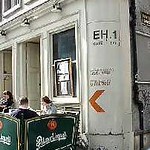 Sitting pretty right on Royal Mile, this bar offers great views around. A perfect bar for sitting outside and enjoying a drink or two. Could get crowded especially during the Festival. 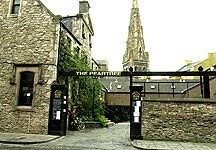 One of the best loved traditional pubs in Edinburgh, Pear Tree has a legacy of over 250 years. 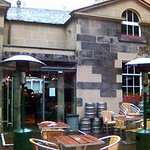 Its large cobbled courtyard and beer garden is quite popular among the ale lovers. 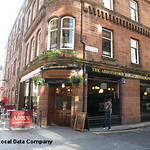 The Outhouse is a popular bar in the Edinburgh social scene. 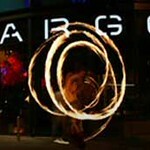 It is well known for for its BBQs and an impressive wine list that offers something special for everyone. 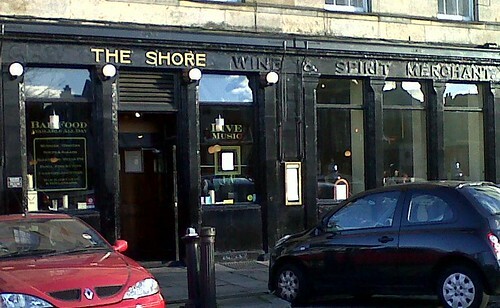 One of the city's best fish restaurants with a real fire and huge windows overlooking the Water of Leith. No smoking. You can eat from the restaurant menu in the adjoining bar. A waterfront place jutting out to the quayside. Conceived originally as a waiting area for the steamship passengers the place was refurbished into a classy conservatory with cozy ambiance.